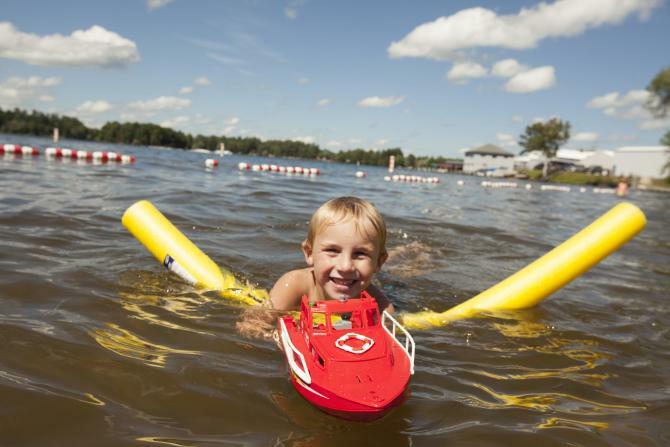 The Minocqua area offers dozens of activities and attractions that your kids will love! Here are just a few of our favorites. Ever wonder what it&apos;s like to fly above the trees? This may be the closest you&apos;ll get to realizing your of flight. 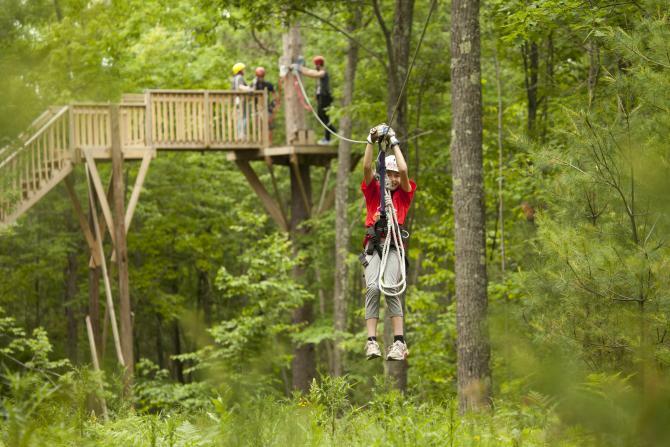 Northwoods Zip Line offers several canopy tour options for kids as young as three. 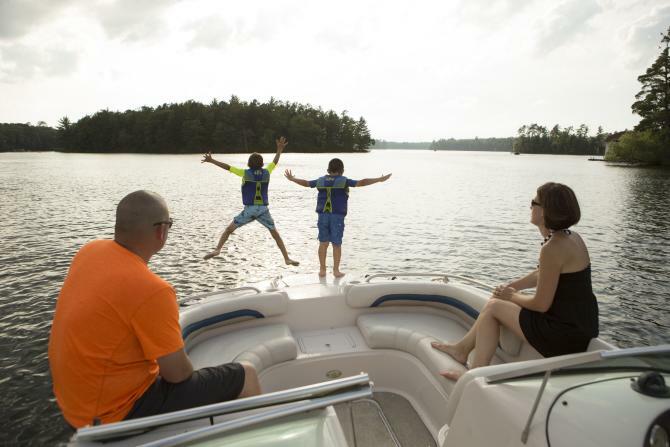 Trek across adventure bridges, cruise over a lake, and for the competitive family, check out the dual race zip line. 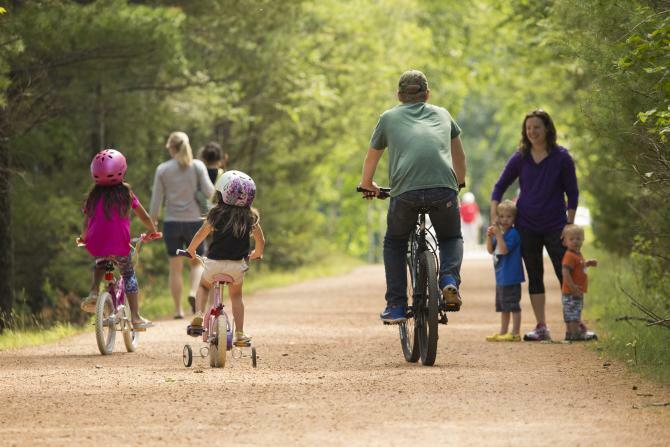 Grab your bikes and explore this 18-mile crushed granite trail. Running along a former rail corridor, the trail crosses 13 trestle bridges and offers the opportunity to see a variety of wildlife, including deer and bald eagles. A fire pit, surrounded by towering pines, with the glimmer of the water reflecting the moonlight as a backdrop... the only thing missing is some chocolate, graham crackers and marshmallows! 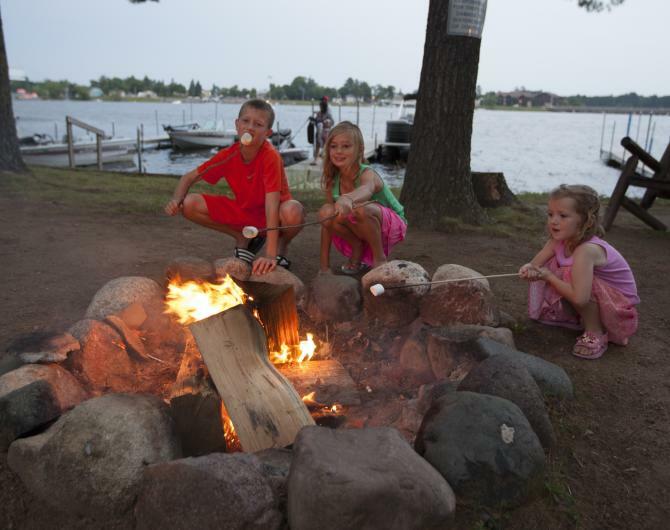 S&apos;mores are part of the authentic Northwoods experience. Any local grocery store will have all the supplies you need for this ooey, gooey treat! The second largest zoo in the state, Wildwood Wildlife Park & Safari is the perfect place for kids of all ages. Get up close and personal with dozens of miniature goats, walk through the Budgie Encounter (wear a hat if you don&apos;t want the parakeets to mess up your hair when they land on your head! 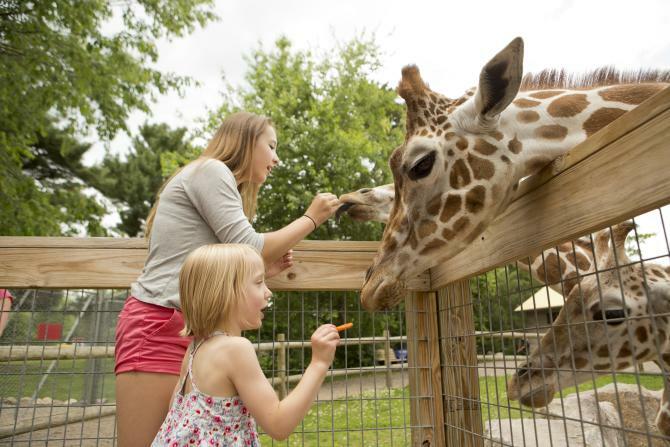 ), feed the giraffes and see dozens of different animal species. 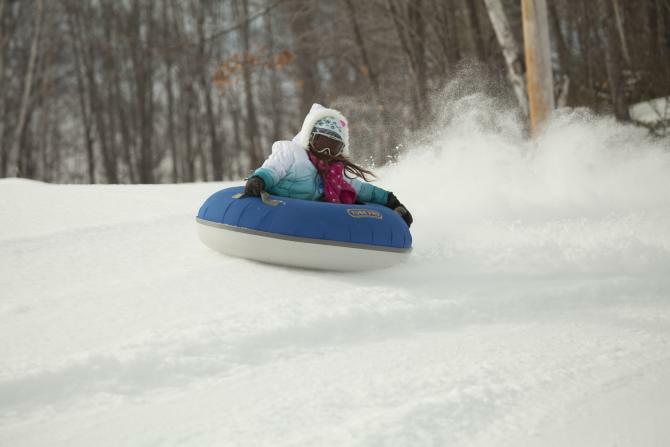 You&apos;ll find one of the longest sledding runs (400 feet) in the area at Minocqua Winter Park. No need to climb a big hill; just grab the tow rope and you&apos;ll enjoy a leisurely ride to the top, followed by a thrilling ride down! Head over to one of the area&apos;s great beaches. 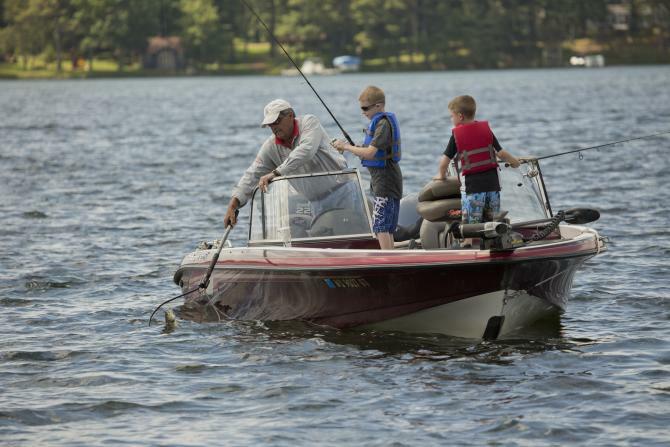 We recommend Torpy Park, Brandy Park or Clear Lake, which offer picnic areas and restrooms, among other amenities. Build a sandcastle, bury your best friend in the sand, play some Frisbee, just Don&apos;t forget the sunscreen! 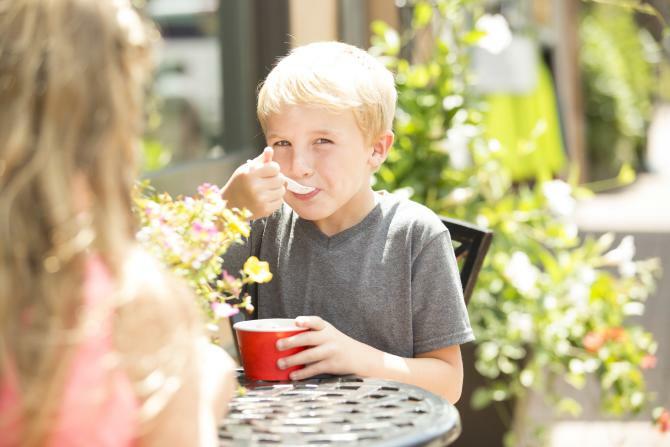 What better way to wrap up a day at the beach than to top it off with ice cream! Cookie dough? Chocolate? Butter Pecan? Whatever you&apos;re hungry for, there&apos;s a good chance you&apos;ll find it at any of our shops offering sweets and treats. Just be sure it doesn&apos;t melt before you get the chance to enjoy it. Children will delight in the 24 interactive exhibits featured at the Northwoods Children&apos;s Museum in nearby Eagle River. Create a masterpiece in the art center, dress up in the Grandma&apos;s attic or check out the giant Bubble Station.